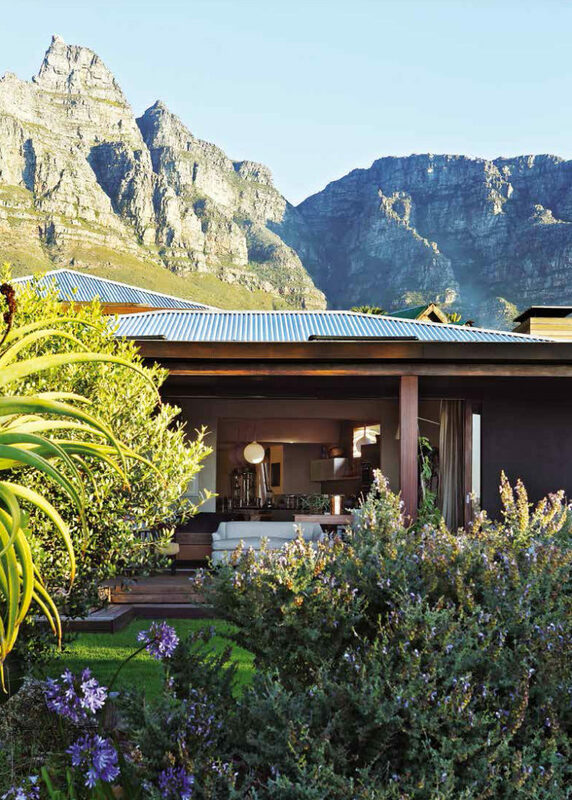 As spring time rolls in and the last bit of winter keeps our gardens looking lush, take a look at some of our hand-picked patio and garden inspiration from previous projects. With this project, the beautiful bungalow on the beach is neatly tucked into the luscious garden. Providing a refreshing, green oasis in the middle of the seaside landscape. 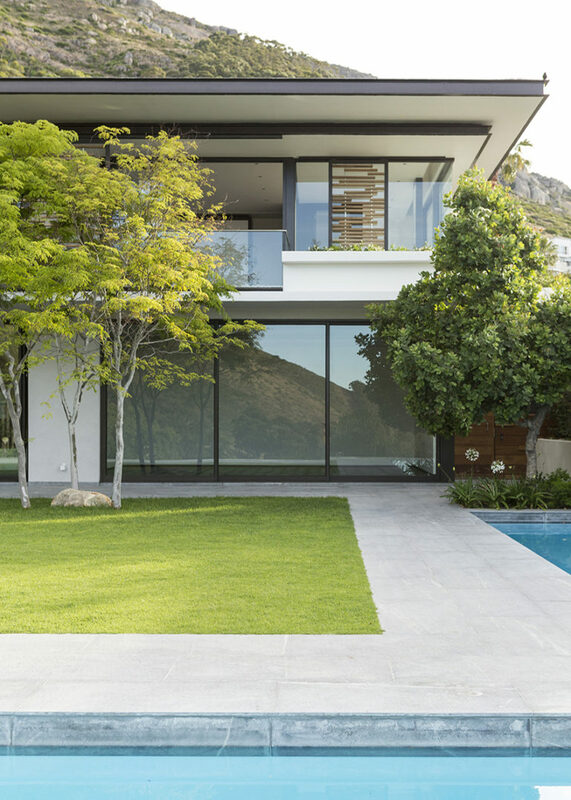 This project features a clean-cut, minimalist approach to a neat and tidy lawn with beautiful trees to create some height. 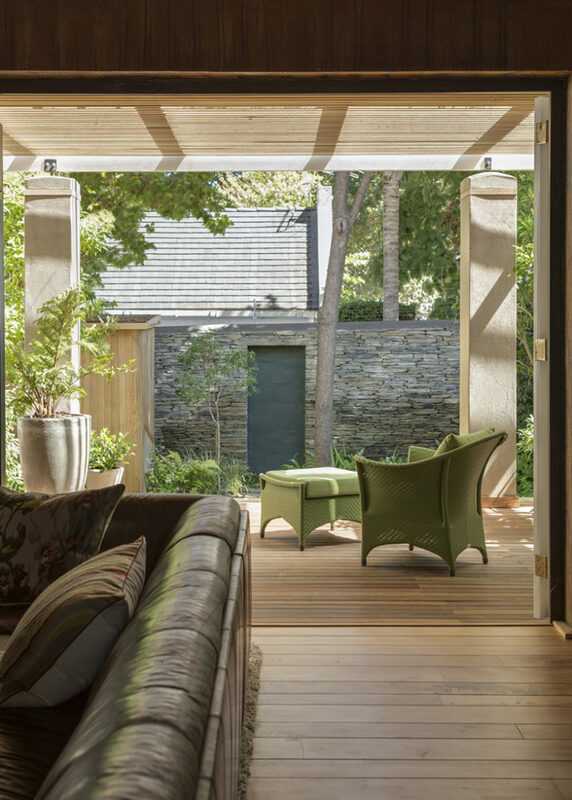 Here a shaded patio, opening out from the lounge area inside the house creates a link between the indoors and the outdoors. Natural materials and a green colour palette create a calming space. This fantastic, light, airy and landscaped garden also features an outside shower and sauna.